There is an old saying that goes: “Nothing is so bad that it isn’t good for something”. This could very well be applied to fossil fuels – we know it’s bad, polluting, climate changing, war-causing and all-round bad boy. But, without it, we wouldn’t be were we are today, with thriving economies, modernization, massive manufacturing, transportation and the list goes on and on. But we are also knee-deep in potentially devastating climate change and pollution affecting everyone on planet earth. So why is solar good for business? Firstly it solves the same problem that fossil fuel does in that it can power virtually anything we need without the nasty side-effects. This is good for business because all business leave an energy foot-print and the smaller the foot-print the better the good-will earned. Secondly, people reward good-will with increased brand-loyalty meaning your company’s products will be considered over others. Increasing the value of your brand does wonders for your bottom line as people will pay your price and not wait for the discounted price. 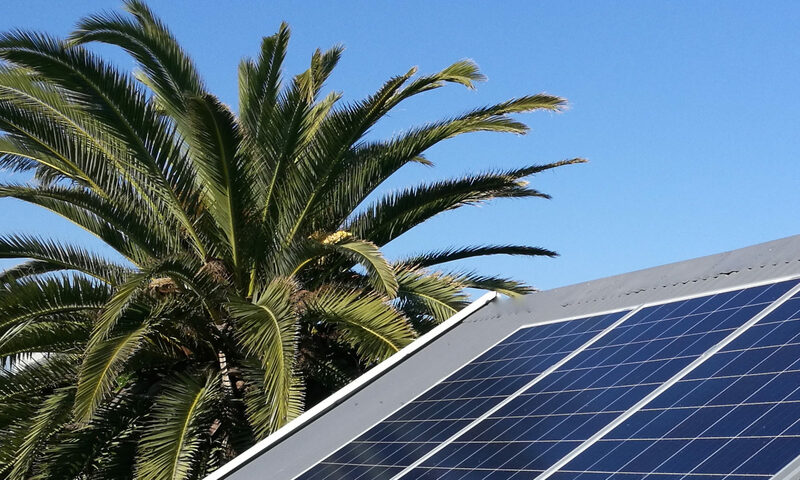 So now you’ve increased your brand value and profitability with one simple decision involving putting solar photo voltaic (PV) panels on your roof. The sun doesn’t shine all the time but most business operate during day-light hours and future battery storage price-reductions will allow you to enjoy the benefits through the night as well. It’s not a matter of if, but when. In the meantime we help you solve your business day-time power needs. And this is where solar gets even better for your business – today you can invest in making your own energy at a fraction of the cost of what is offered from your utility whilst reducing your reliance on your government and utility’s ability to deliver the power you need. 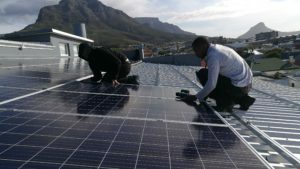 We can install commercial solar PV at a cost per kWh of R0.20-R0.30/kWh compared to Eskom’s rate of R1.30/kWh. Furthermore, this cost is locked in for 25 years – for the next 25 years your business is unaffected by increases in utility electricity costs, this helps budgeting, enhances cost-reductions and gives you an competitive advantage over your competitors who aren’t reading this. Adding solar PV to your business premises improves the property yield, it attracts tenants and it’s going to pay it self back in 3-4 years. It’s even worthwhile financing it – then you can use the funds to increase marketing, improve R&D or buy more machinery whilst still getting all of the benefits above. Tax depreciation of 100% of Solar PV investment in year 1 is virtually equivalent of a 1/3 discount reducing payback even further. It’s simply become a no-brainer.